This penny mat is the perfect addition for your home! Easily swappped with one for each month, this penny mat features festive holly leaves and rich red berries and hand embroidered border. 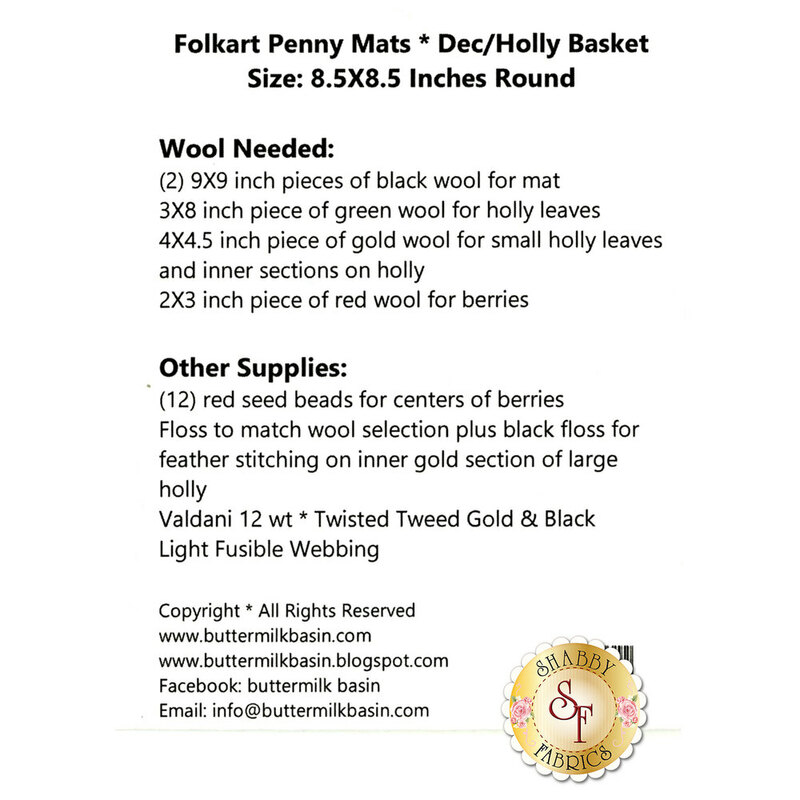 Pattern includes instructions for the 8½" round finished penny mat.